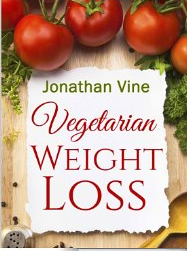 Vegetarian Weight Loss by Jonathan Vine is an informative book which motivates you to follow a vegetarian diet, a tool that can help in loosing that extra flab you want to get rid of. The book starts with the explanation of different classification of vegetarians and moves on to tell you what becoming a vegetarian involves and also about the food you should consume and things you should avoid. Only a few of us are aware of the fact that vegetarians are not vegans. Vegans are people who neither use animal products nor consume them. But vegetarian do consume animal products like milk and use wool and silk. This book informs you about the differences between vegans and vegetarians also. It explains the health benefits of becoming a vegetarian; it reduces risk of cancer and high blood pressure, and proves it with stats and numbers. I liked the chapter that helps you understand how you can ensure getting the right levels of nutrition from the food you are eating with emphasis on the key nutrients needed for a healthy body and where we can find them. It also informs you about the bad effects of food cooked in the microwave and its impact on you. The book also goes on to destroy the myth of no exercise for vegetarians with suitable reasons and explanations. The book clears the myth that vegetarian food lack variety and taste and contains many recipes for all meal courses to follow a balanced vegetarian diet at any time of the day. One advantage of the recipes given here is that the nutritional information per each serving is mentioned to help us keep track of the nutrition you get every day. Breakfast recipes include Scrambled egg burritos, Avocado banana smoothie, Cheddar spinach quiche and lots more. I tried the Avocado banana smoothie and it turned out to be yummy. I never knew Avocado with banana can make such a beautiful combination. 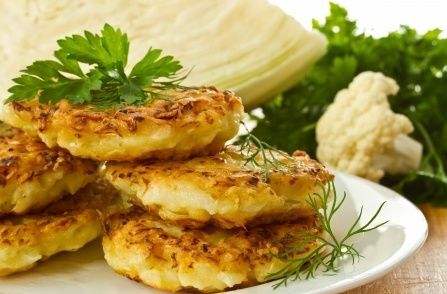 Lunch recipes like warm squash salad, spiced cauliflower patties and Mediterranean roasted tomato soup are lip smacking veggie dishes, so well thought of to make the eating experience wholesome. The best part of it is it totally makes us forget the need for meat. Dinner recipes like zucchini mushroom lasagna, quinoa stuffed squash, cheese stuffed portabellas and tofu veg curry are worth a try too. The book ends with some simple tips to follow for a successful weight loss, to be followed every day. The book also has an extra bonus of some selected very easy to make recipes from Jonathan’s another book, Vegetarian Quick & Easy – Under 15 Minutes. Overall the book is a must read for people who craves for that slimmer look and also lead and maintain a healthy life. * Chennai Focus received this product in exchange for its unbiased review. Chennai Focus was not compensated for the review and all opinions are respective reviewers own opinions. Posted on April 13, 2015, in Book Reviews, Food, Health and tagged book, eat healthy, food, international, jonathan vine, vegetarian diet, weight loss. Bookmark the permalink. Leave a comment.